Harvard's Faculty Council voted unanimously to dismiss a College student for sexual misconduct, Claudine Gay, dean of the Faculty of Arts and Sciences, announced at Tuesday’s Faculty meeting. The Council, the highest governing body in FAS, heard the student’s case at its Oct. 10 meeting. They received the case for review after the student was found guilty of violating the FAS sexual and gender-based harassment policy. The student has already been informed of the Council’s decision, Gay said. Cases involving sexual or gender-based harassment are investigated by the University’s Office of Dispute Resolution. The investigative office then issues a report on its findings and sends a copy to the College’s Administrative Board, which determines what disciplinary action, if any, is appropriate. In the "most serious" cases, the Ad Board — composed of faculty members and administrators — can recommend that the Faculty Council dismiss a student from the College. The only way a student can then be readmitted is if the Council votes again to allow the student to re-enroll. Following Gay’s announcement, the Faculty voted on the first item of their agenda, approving changes to the foreign language requirement for undergraduates. The revised wording eliminates the previous requirement that the language have a “written component.” Students will now be able to fulfill their requirement using languages like American Sign Language. 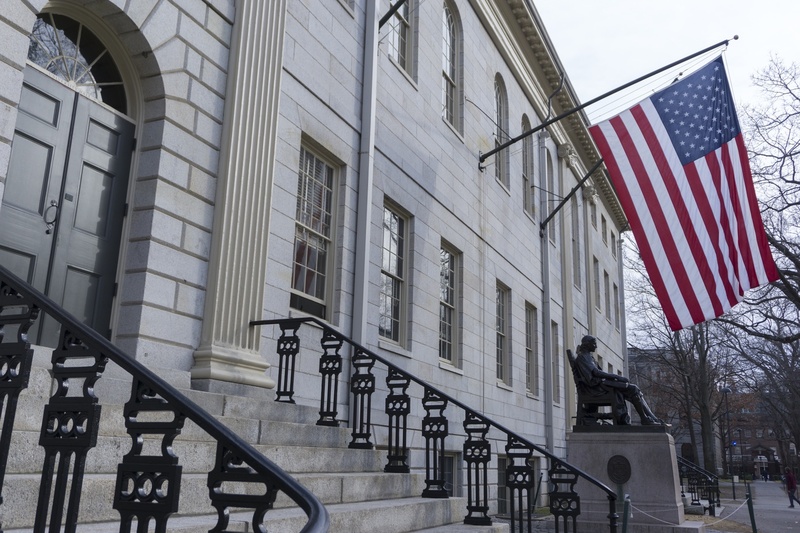 The new changes also specify that if a student wants to place out of the requirement using a language that Harvard does not currently offer, the Office of Undergraduate Education will attempt to find a qualified examiner from another institution. Previously, students had to find a Harvard faculty member to administer the exam. The Faculty also considered loosening part of the foreign language requirement to allow students to retake language placement exams. Ultimately, with the Faculty divided on the issue, they chose to stick with the status quo: students cannot retake language placement exams. Elvira G. Di Fabio, senior preceptor in Romance Languages and Literatures, addressed the Faculty for several minutes about the importance of studying language at Harvard. “Allowing students to retake the placement exam for a second time for the purpose of meeting the language requirement would on principle weaken and undermine the College’s commitment to the study of languages and cultures in their own languages,” Di Fabio said. English Professor James T. Engell ’73 and History Professor Charles S. Maier ’60 also spoke in favor of prohibiting students from retaking their placement exams. “Precisely because English has achieved a sort of linguistic imperium, unless we wish our educated graduates to represent our university as self-satisfied language hegemons we should be asking them more urgently than ever to enter into at least one of the cultural worlds that a foreign language represents,” Maier said. Jay M. Harris, former dean of undergraduate education, also proposed an amendment specifying that students can take placement exams in “all forms of a language that are customary in the practice of that language today.” The Faculty voted unanimously to approve Harris’s proposal. FAS Registrar Michael P. Burke also spoke to the Faculty about a proposed schedule change that would give instructors the choice to delay the start times of their two-hour classes to 12:45 p.m. and 3:45 p.m. in order to allow more time for students to eat lunch. Burke noted that since this is a substantive change to the handbook, the proposal was brought up for discussion only and the Faculty will vote on it at their next monthly meeting. Jeffrey T. Schnapp, professor of Romance Languages and Literatures and of Comparative Literature, also introduced Curricle, an online interactive syllabus tool, at the meeting. Schnapp presented slides on how the new tool is used and demonstrated a beta user interface for the tool.